31 July 2018 // IF member Spina Bifida Hydrocephalus Ireland (SBHI) has launched a powerful campaign film, The Fight of Our Lives, aimed at highlighting the need for equality for those living with disabilities. People with spina bifida and/or hydrocephalus and their families have to fight every single day, throughout their entire life, for access to medical services, social services, education opportunities, gainful employment, access to transport and buildings, and more. This has to change, now! SBHI works with limited resources to offer support wherever possible – giving advice, offering peer support, providing respite, advocating on behalf of service users, working with schools, and facilitating Resource Centre activities, but the reality is that much more is needed in terms of systemic change and sustainable progression. Ireland ratified the UN Convention on the Rights of Persons with Disabilities on March 20, 2018. Through their campaign SBHI aims to engage people beyond the immediate audience of SBHI to step up and become advocates for the rights of those affected. Politicians need to get on board to improve services for people with disabilities. 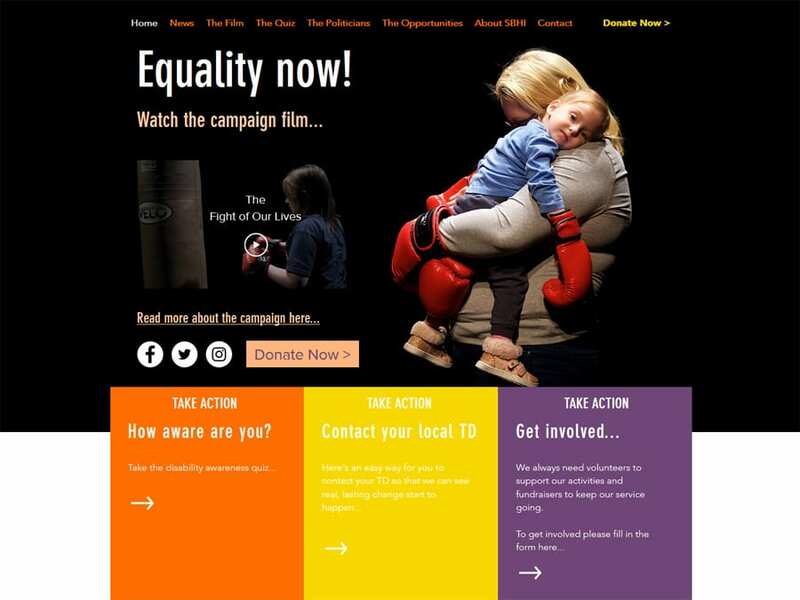 Everyone who sees the film is encouraged to visit the campaign website – www.equalitynow.ie – and to take the disability awareness quiz. People in Ireland are asked to contact their local elected representatives (TD) to let them know that they think that the situation for those living with disabilities is unacceptable. With greater support, there is a greater chance of seeing real, sustainable change.